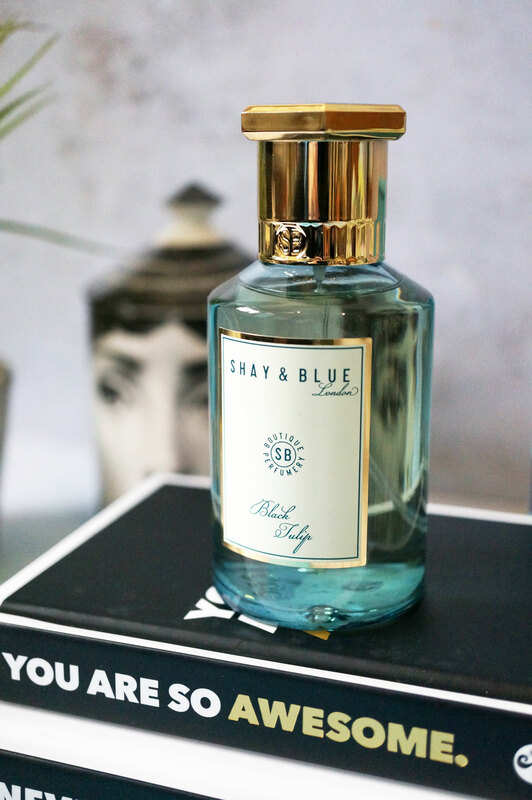 Shay & Blue have now added a brand new fragrance to their collection for 2018 – Black Tulip. I must admit I wasn’t too sure what to expect from this scent, but I was more than pleasantly surprised to find that Black Tulip is absolutely beautiful! 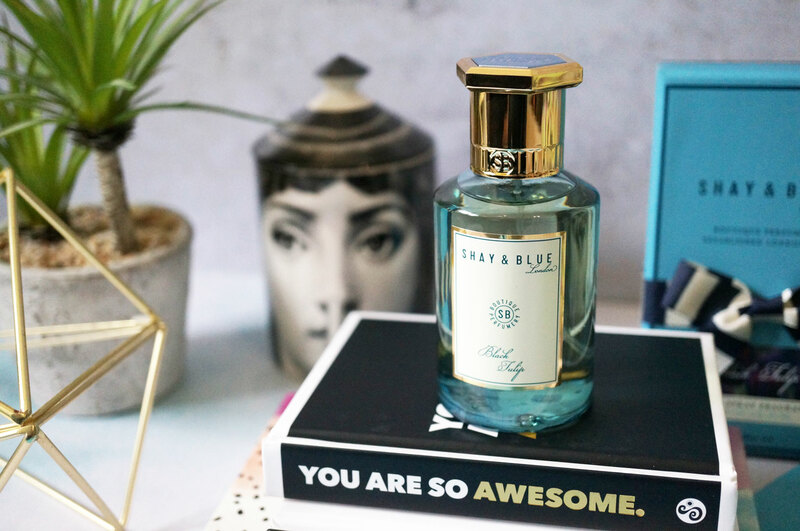 The fragrance is described as a modern floral, but it’s really so much more than that. It has the most wonderful combination of white florals, juicy fruits, smooth woods and delicious creamy white chocolate. I honesty don’t think I’ve tried another fragrance like this before. Black Tulip is most definitely a unique modern floral scent. It opens with notes of Snowdrops and Cyclamen offering an inviting hit of crisp floral freshness, leading to a juicy heart of Plum with intense and velvety Black Tulip. The base rounds the fragrance off beautifully with warming notes of deliciously creamy vanilla White Chocolate and Soft Woods. To me this is very much a wintery scent, that’s both elegant and refined, yet offers a cosy warmth – it makes me think of evenings by the fire, snuggling in cosy soft blankets and long winter walks. 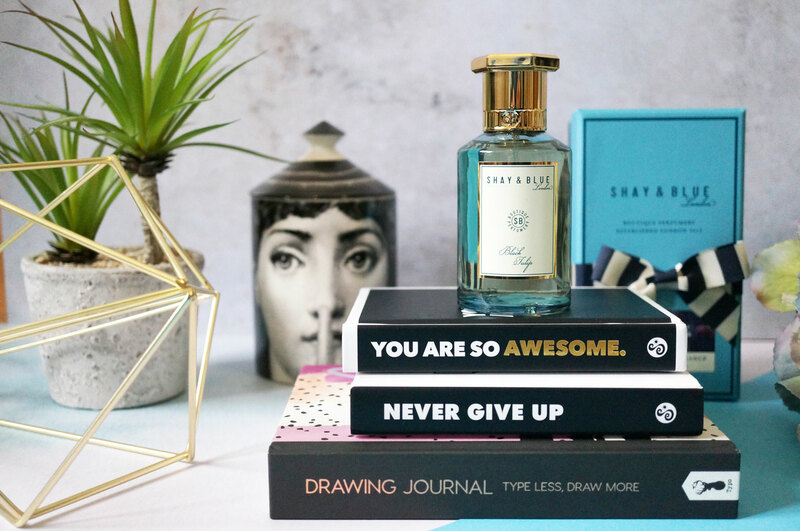 The freshness of at the top of Black Tulip is perfectly counterpinned by the warming and indulgent base, give a fantastic new statement floral EDP. This is just a beautiful scent all round, and in my opinion a must try! Top Notes: Snowdrops and Cyclamen. Heart Notes: Black Tulip and Plum. Base Notes: White Chocolate and Soft Woods. Black Tulip is very reasonably priced at £55.00 for 100ml and available now at Shay & Blue.